Washington : The would-be-mothers taking certain omega-3 fatty acid supplements during their third trimester of pregnancy can reduce the risk of childhood chronic wheezing problems or asthma by age five, finds a new study. The research, published in the New England Journal of Medicine found that women who were prescribed 2.4 grams of long-chain omega-3 supplements during the third trimester of pregnancy reduced their children’s risk of asthma by 31 percent. Long-chain omega-3 fatty acids, which include Eicosapentaenoic Acid (EPA) and Docosahexaenoic Acid (DHA) are found in cold water fish and key to regulating human immune response. “We’ve long suspected there was a link between the anti-inflammatory properties of long-chain omega-3 fats, the low intakes of omega-3 in Western diets and the rising rates of childhood asthma,” said Hans Bisgaard of COPSAC at the Copenhagen University Hospital in Denmark. “This study proves that they are definitively and significantly related,” he added. The study used rapid analytical techniques developed and performed at the University of Waterloo in Canada to measure levels of EPA and DHA in pregnant women’s blood. “Measuring the levels of omega-3 fatty acids in blood provides an accurate and precise assessment of nutrient status,” said lead researcher Ken Stark. “Our labs are uniquely equipped to measure fatty acids quickly, extremely precisely and in a cost-efficient manner,” he added. The researchers analysed blood samples of 695 Danish women at 24 weeks’ gestation and one week after delivery. 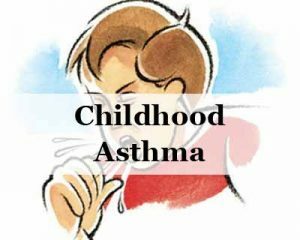 They then monitored the health status of each participating child for five years, which is the age asthma symptoms can be clinically established. The findings revealed that women with low blood levels of EPA and DHA at the beginning of the study benefitted the most from the supplements. For these women, it reduced their children’s relative risk of developing asthma by 54 percent. “Identifying these women and providing them with supplements should be considered a front-line defence to reduce and prevent childhood asthma,” Stark stated.